A luxurious in-frame kitchen design, Petworth combines wonderfully crafted cabinetry with the organic beauty of a natural oak finish. Personalise your design and create desirable points of interest with the many creatively designed accessories. Door Construction: 37mm Solid Oak. 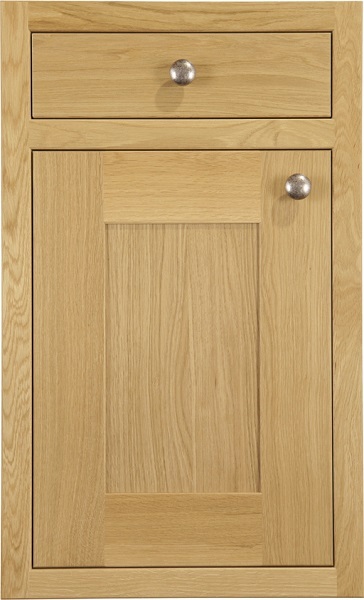 Door; 90mm Solid Oak frame with veneered flat centre panel. Glass Door: Available in 4mm toughened clear glass.